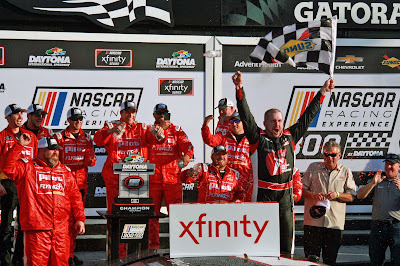 Michael Annett held off Justin Allgaier at the end of Saturday's (Feb. 16th) NASCAR Racing Experience 300 at the Daytona International Speedway to earn his first career victory in the series. 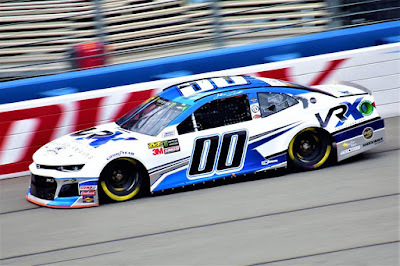 NASCAR confirmed to The Motorsports News Source that by virtue of his victory, Annett became the first Iowa born driver to secure a victory in the Xfinity Series. Annett spoke about the landmark victory following Saturday's race. "It's huge," said Annett. "I saw the response 11 years ago when I won the ARCA Race. It's huge just because, you know, Knoxville's 45 minutes down the road but Des Moines isn't really a big auto racing city but you know it's on TV everywhere and they flash that Des Moines Iowa underneath my name, it's huge and people realize it. Brett (Moffitt) had an amazing year last year and I hope to be right up there with what he did and this is the best way to start. I can't wait to get back and check my cell phone, I am sure people who I haven't heard of since high school texting me." As noted, the capital of Iowa isn't really known for racing. Knoxville Raceway, the dirt track in Knoxville, Iowa is the biggest auto racing deal in the state of Iowa. Iowa also features Hawkeye Downs and Iowa Speedway asphalt tracks but the state has never been really known to produce NASCAR winners. Johnny Beauchamp (Harlan, Iowa) and 1963 Daytona 500 champion Tiny Lund both represent Harlan, Iowa as winners in the Monster Energy NASCAR Cup Series. Brett Moffitt broke a barrier last year by becoming the first national Series champion. 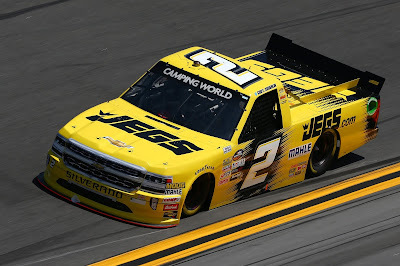 Moffitt, from Grimes, Iowa, earned the first victories for the state of Iowa in the NASCAR Gander Outdoors Truck Series. Annett will look to back that up with the first Xfinity Series championship for the state of Iowa this year and he's off to a good start punching his ticket to the playoffs with the victory. 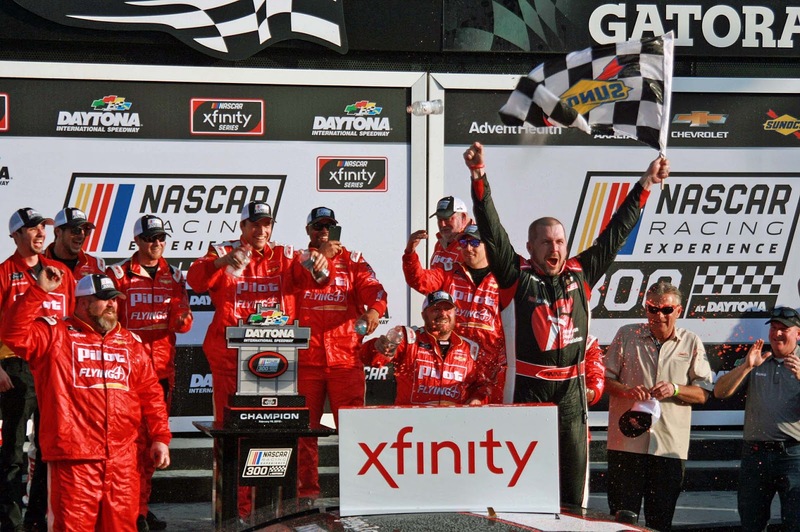 Annett earned the biggest Xfinity Series victory on Saturday, one that will live forever in the cornfields of Iowa (Koelle, 2019).